The following instructions are for the calculation of Reverberation Time, and other acoustic parameters. By default, all walls in the room are assigned the material air (since no materials have been defined!). The wall that the user faces will always be invisible for the user to view the inside content. You can zoom in and zoom out if you want by just click the Turn On Zoom button on the lefthand panel. The first task is to define the materials you wish to assign to the space. This includes walls, furniture, and the type of audience. To select the construction material /finish specs / type of audience > Click on the Material Library Management tab > use the filter to select the materials you will use. Note: Some materials have predefined dimensions. When you generate objects with these materials, some dimensions will be fixed //In the future; If a material cannot be found in the list, you can add your own within the Material Generator tab in the bottom left hand panel. Set Room Dimensions The next task to define the dimensions of the room in terms of width (X), height (Y), and depth (Z). 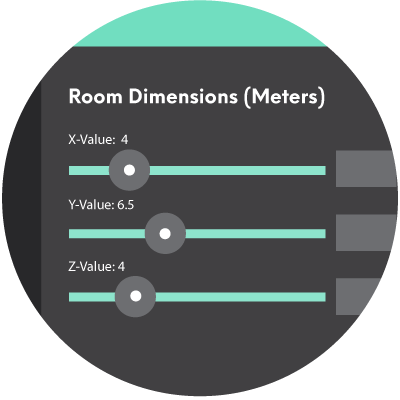 Go to the lefthand panel Room Dimensions > Click the X-value/ Y-value/ Z-value boxes and enter the dimensions. Alternatively you can use the sliders to set the dimensions. Note: On default, the dimensions entered are by meters. You can change the unit to feet by clicking the text (Meters). 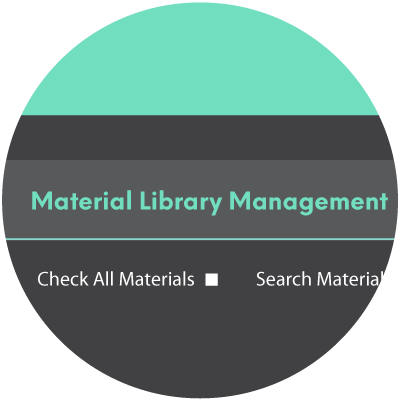 Assign Materials to the room that you preselected in the Material Library filter. In this step you assign materials to the complete wall/elevation, or generate objects that represent absorbable materials such as furniture or audience members. Assign a material to a whole wall > At the bottom middle of the application, there are tabs for the individual walls/elevations of the room > Click on these tabs and in the Assign Overall Material dropdown menu, select one of your filtered material. 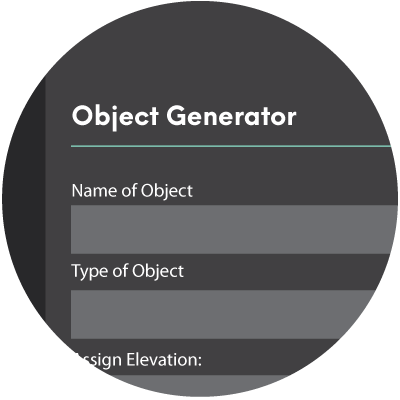 Generate specific objects > If you wish to place items into the room, open the Generate Object tab located just above the Material Generator. Objects have several types and can refer to furniture, carpets, windows, etc. 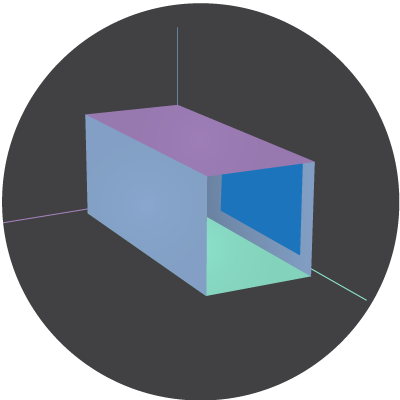 In creating an object, the most important fields that affect the RT are: a) the material, b) the dimensions, and c) the wall/elevation it is assigned to. You can re-orientate the object's location by click and dragging the object. Editing or deleting objects > Once you've assigned objects, you can edit them by checking the elevation tab where you've assigned them. 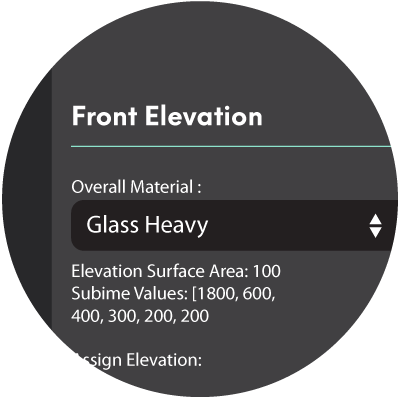 For instance, if an object is assigned to the Floor elevation, click on the Floor tab > When you click an object in the model, information about it appears in the Selected Object panel and you can reassign, update or delete the object. 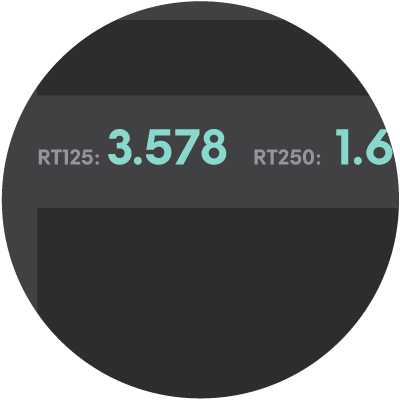 View reverberation time values - once you assign all materials to the room, you may then check on the Reverberation Time values on the topmost panel which update as you enter information. 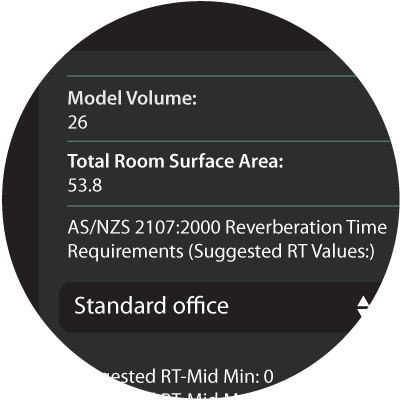 Find suggested RT ranges - at the lower right corner of the application, you can view the dropdown AS/NZS 2107:2000 Reverberation Time Requirements that recommend Reverberation Time mid-frequencies depending on the type of room you have. 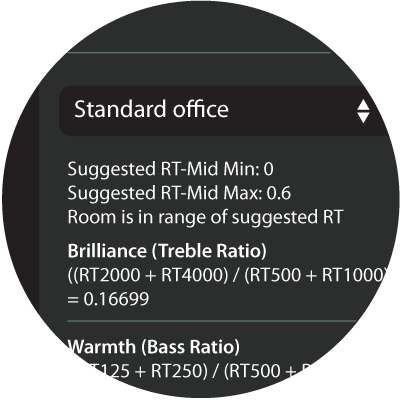 A suggested range minimum and maximum should appear, and a message will indicate whether the room is in range of relevant reverberation time values. 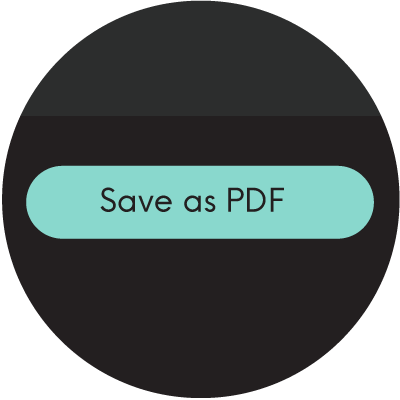 View Specific information - You can view other relevant information such as the Volume and Surface Area in the lower right corner of the application. Other acoustic parameters will be presented here.